Well, I was born in 1971 on Malta. As a child I actually did a lot of painting, most often in black and white, mainly portraits and some other stuff. Most notably, many members of my family are artists themselves, ranging from sculpturers to piano players and guitarists. In addition, my brother is an actor living in Los Angeles. I still remember myself living up north in my aunt’s place in Italy at the age of 14 years, excited by playing the notes on my cousin’s piano, who’s a great performer himself. These were my first steps trying to create something as I played along by ear. Around the same time I became fascinated by the cosmos and science fiction. As I started building my own rockets and shuttle models, I also send out letters to NASA , who kindly send me some photos in return. Later on I started listening to music, and along the way became intrigued by electronic sounds, that later appeared to be coming from synthesizers. I remember I loved playing with my Atari computer, endlessly manipulating the noise and shifting frequencies in search to create something of my own. When I was about 16 years old, I purchased my first synthesizer, a DX 11, after I watched this amazing concert of Jean Michel Jarre live in Houston on TV in 1986. The whole impact of this big event, the massive amount of electronic equipment, the vast sounds, the huge visuals and the whole live scenery set fire to my own desire to become a music composer myself. From there on I commited myself to start translating my own emotions into music wherever I could, which meant I also had to start building my own studio…. Brian, what other music inspired you one way or the other? Well, the soundtracks of e.g. Hans Zimmer, Jan Hammer and Mark Snow especially inspire me. Their works for movies and TV contain a strong sense of drama, something that really appeals to me. In addition, I’m hugely inspired by the ‘90’s electronic music scene, more specific by Cosmic Baby, Future Sound of London, Sven Vaeth, Ralf Hildenbeutel and many more. I heard you never continued the piano lessons you started at a young age. How did that effect you playing skills and ability to make music? Well, I decided to learn it all by myself. Beside that, hearing sounds helped me to compose the own music, which was already taking place as I did trouble to play while reading quavers, sem-quavers etc. By then, my mind was already in the realm of the numerous sounds a synthesizer could offer, beside the discovery of MIDI and the possibilities sequencers had to offer. 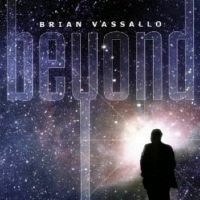 After two years, in 1998, I completed my first album “Beyond” that was eventually released on cd one year later. The music was made with a small amount of equipment: an Amiga sequencer, a JP8000, a JD990 and the DX11. 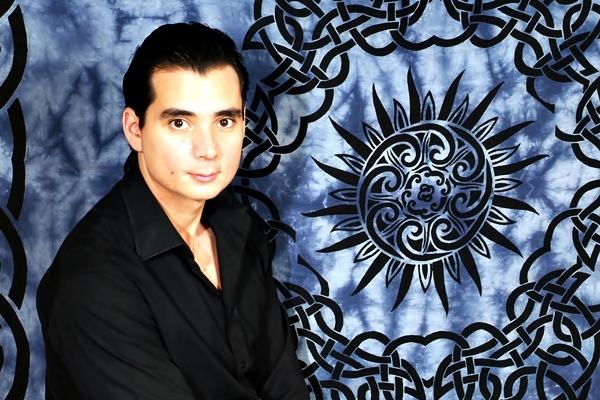 Between 1995-1996 I started work on my first album in my bedroom studio. At that time, I only had a small amount of equipment, a DX 11, JP8000 and a JD990. The sequencer ran via midi through my Amiga computer and I recorded the outcome on a Tascam DAT recorder. Later on, the music was mastered a friend’s studio. My debut album “Beyond” is as a collection of my inspirations translated into six pieces, with each track having it’s own theme. For example, one of the songs is “Heartbeat Above Earth” and was inspired by a photo of astronaut ‘Mcandless’ hovering in space that’s hanging on the wall of my studio. All in all, “Beyond” is mainly based on sci-fi inspirations. In 2001, I released my second album “Flashback”. For this album I decided to leave the soundscapes and atmospherics approach of my debut and to focus on a much more rhythmic, chill-out style. As with all my projects, I first try to find a theme for the whole project before I start composing at all. I see myself as a composer for a soundtrack although there is no movie, as everything is in my mind. Yeah, there were several. I’ve e.g. invited soprano singer Amethyste Spardel through myspace.com to use her voice on my track “From Tears To Paradise”, that was inspired by the spiritual journey I was undergoing as a Christian. This piece of music also marked a new direction for me as well, since this track fits in the genre of movie themes. Not surprisingly, soundtrack music and the meaning of it have always accompanied me in my work as a composer. As said previously, it fits how I approach every project that I do and the music I compose for it. More singles followed, especially after my first visit to Sven Vaeth’s “Cocoon Club” in Frankfurt, Germany, a musician I’ve been following for many years. With is famous club and its atmosphere in mind, I later composed three pieces of minimal electronic music: “Sensorama”, “Pulsations” and “Sonique Dancer”. All ended up on the “Deep Groove” Ep, which was released in 2009. You also made a remix of the Jarre track “Teo & Tea”, for which you also received is consent…..
That’s correct. In 2007, Jean Michel Jarre announced on a French website he would offer some of the samples he used for Teo & Tea. He also invited artist and fans to remix this piece, for which some nice rewards were offered as well. Being a long-time fan of his music besides being able to send my own sonic creation to Jean Michel himself didn’t make me hesitate for one second. 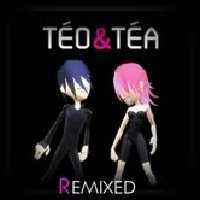 So I participated and got the files of “Teo & Tea” from the internet and soon started on my own remix version of the music. As my remix was selected later on by Jarre and his team, I received the outcome as a cardboard sleeve’d cd, sent to me as “a present” and gesture of appreciation. In 2008, I was invited by my friends Ramon & Alex Mizzi, who are both Maltese film producers, to, to compose a soundtrack for their short film “In the End”. This movie was part of a competition held in Malta at first, but due to its success later on also went international in 2009 in the months to follow. The movie was actually awarded at the Short Film Festival in Los Angeles. Most of all, during this project I experienced for the very first time what it really means to compose for a motion picture, and what music can do for a movie. 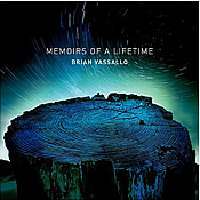 What’s the background of your album “Memories of a Lifetime”? 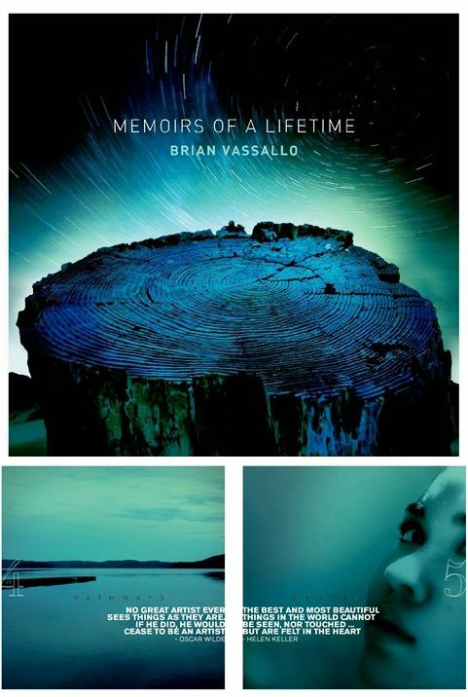 Well, work on “Memoirs Of A Lifetime” started in 2009, for which I imagined to compose a kind of biography. Regarding the style I tried to travel back in my own life, sound designing in my early days as a composer as I was moulding the sonic content of “Beyond”. In addition, I wanted it to contain a variety of tracks that at the same time would complement each other, keeping the attention of the listener from start to finish, like a journey. In fact, my aim was to make the listener relate with this album in his own way. The release date was also important, as I intentionally released it on the December 31 2010, the eve of a new year! “The Heart of the Earth” is another single you made. I’ve been told it received quite some critical acclaim until now…. In 2011, you also re-released the album “Caravan Of Emotions” from a few years ago. How come? What can you to tell about your studio and the equipment you use? Well, that’s actually undergoing a major change and update as I’ve decided to focus on software synths. Being a Taxi.com (A&R) member for quite a while, I receive a high demand of requests to deliver music for TV, movies and ads. The numerous sounds of software synths offer me the opportunity to stay on top of the many developments almost constantly taking place in the world of technology and sound. I love the fact one can easily design all desidred sounds with the numerous knobs and sliders, all conveniently available on a computer screen. I think this versatile and hands-on technology is a big benefit for today’s composers. Despite of these, I still extensively use my classic JD-990 and the JP-8000 next to a Quasimidi Polymorph. In addition, I use Event monitors that are doing a great job, offering a warm but also powerful sound. On a certain level I agree, but there’s much more to it. More than ever, I think it very important for a musician today to do more homework than just sit down and compose a couple of tracks or an album. One should really try to compose something memorable, something that involves time and study. Although I recommend the new and refreshing technology and its vast amount of possibilities, it still needs a lot of effort to implement the right ingredients into a cohesive, meaningful and most importantly, an emotional strong whole. And after that I think it’s important you transfer what you have learned into you next project. So what is your attitude towards todays music and composing music in general? Although music is mostly handled in mp3 and other digital formats these days, I’m still a strong believer of the physical cd, coming with a nice booklet, offering music in the best possible quality. I compose music I personally like, I’m not driven by what commercial radio or airplay demands. For me, making music is all about emotion, and how to best translate that into captivating, appealing songs and sound textures. Being able to acchieve that is my biggest personal reward, besides being able to transmit these personal and intimate feelings to others. Brian, have you every performed your music live? That’s an interesting question as I’m currently preparing my first live concert on a festival held on Malta in August 2011 (4 August: this concert is canceled as Brians audio engineer could not make it; BS). It will be amazing and exciting to have an audience in front of me and take them on a ride with my music. I’m busy planning the one-hour playlist, which is very important for me, as I’d like to offer the public an overall emotional experience with my music. By touching their emotions, I hope they will remember my music and the composer who performed it. I sincerely hope the concert will open up more opportunities for me and my music to be used in other public domains, in movies, TV, and maybe even more live concerts in the future. Flashback (CD, 2001) Re-released in 2006, which included bonus tracks. Deep Groove (4-track Ep; 2009) Currently remastered for re-release in 2011. 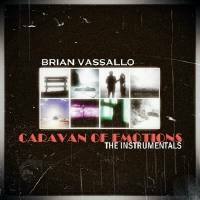 Caravan of Emotions 1.2 (2009/2011) Re-release including 4 new tracks.